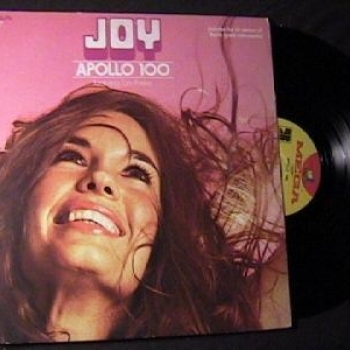 grupo britanico instrumental de corta vida que continuo la tradicion de grupos como tornados..por cierto alguno de sus miembros forma el grupo joy y graba este su 1º lp que fue todo un hit en usa.Apollo 100 is the concept of producer Miki Dallon (real name Mickey Tinsley) and arranger Tom Parker. 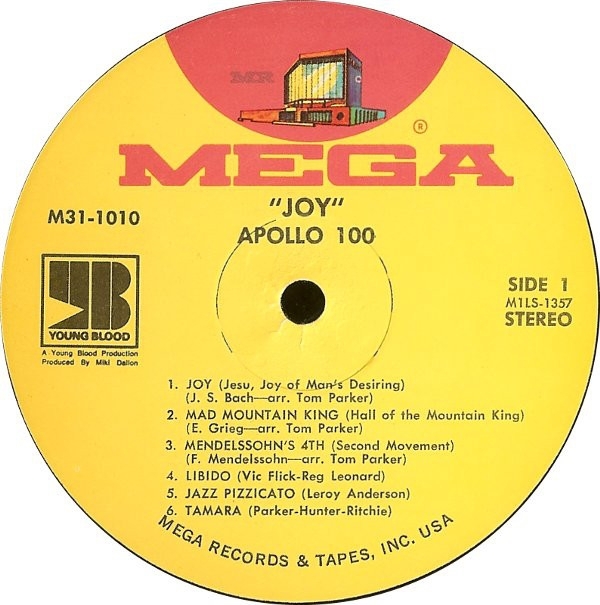 Apollo 100 was a short-lived British instrumental group that had a moderate hit with the Johann Sebastian Bach-inspired single "Joy" in 1972.Arranger Tom Parker put together the band in 1972, with drummer Clem Cattini, guitarist Vic Flick, guitarist Zed Jenkins, percussionist Jim Lawless, and bassist Brian Odgers. Their first single "Joy", based on Bach's "Jesu, Joy of Man's Desiring", rose to number 6 on the pop singles chart in the U.S., giving them a hit. None of their subsequent efforts were as successful.They broke up in 1973. "Joy" has subsequently been featured in the soundtracks of One Day in September, Boogie Nights, and The 40-Year-Old Virgin.